But this situation is really unlikely, nodes are very stable usually (else you'll quickly see a problem). Basically you would need the gateway to fail, then a power outage to reboot your node. @okos if you have the device in Domoticz it means it could run, and send data to the gateway controller. Did you change anything in hardware of software between the moment you added the node/sensor to Domoticz and the moment you tried to activate it ? Are you sure your settings for the ACK are ok ? Maybe you are not sending one in the node but waiting from one in Domoticz ? Check the "Ack" column in Domoticz and if it's true try to change it to false. Thanks for the answer Nca78, but I do not know where to look for settings Ack. @okos go to Setup menu / Hardware, then click on the "Setup" button for your MySensors gateway. In the top list select the node, and in the bottom you will see the sensors attached to this node, and a Ack column for each sensor. To edit the ack column just select item and you have the checkbox below the grid with update button. First board soldered and tested, it runs very well, thank you for the great work @aproxx ! Thank you @Konstantin-Kolesnichenko also for adapting the script to version 2.0. I just didn't dare to install the ds18b20, the tiny distance to the temp fuse pad gives me some nightmares so I prefer having no temperature sensor and put a piece of insulating tape on both sides. @okos did you fix your problem ? I see your deleted message. I used the code from Konstantin Kolesnichenko (thanks), and even after the power is changing relay. @okos I will try to do more tests tomorrow to see if I have the same problem. I see no obvious mistake in the script that would generate this though. The only thing I see would be if you have linked your module with physical switches and they are in different position. As the script assumes that at startup the buttons are in "off" position (circuit opened). I think we should have this code at the end of the setup() method to initialize the oldValue and oldValue2 variables. @okos I confirm to you that without the change in my previous message, I had a similar problem (relay 1 always on and relay 2 always off at startup). After applying the change I don't have any problem on restart, it was just an initialization problem. I'm making some small improvements to the sketch, I will test tomorrow and post it. this is the updated code, the list of changes at the top of the script. I think the behavior of the node is fine now, it has debug for physical buttons and the script uses less program space (<12k, <8k if temp sensor is disabled: you can enable debug even with an old atmega168 pro mini :)) and less ram (514 bytes for global variables). I added the temp sensor on my first board to make some tests, it's in the ceiling now in a big (10x10cm) but air-tight electric box. Both relays are switched off at the moment and I'm waiting for the temperature to stabilize, then I will try to switch the loads on and off, leave on for a long time etc etc. 28W light tube on first relay, 2x28W on the other, it should not create problem. DallasTemperature sensors(&oneWire); // Pass the oneWire reference to Dallas Temperature. // We only expect one type of message from controller. But we better check anyway. But on the new board my domoticz does detect ds18b20 and I think the problem may be inaccurate soldering DS18B20 because it is a very small gap between the legs. @okos I think position of the ds18b20 is a real safety problem on this board. It's no use to put a relatively "safe" module like the HLK if we put secondary trace so close from the mains trace. Even without the ds18b20 soldered the traces are too close. I might drill the ds18b20 hole that is the closest from the main trace bigger to create some clearance. But I think my problem was from faulty HLK. I put a new slow blow fuse and a new HLK, it was a pain to change it It's been running over 24h without problem now, didn't put a load yet. I would like to suggest to move the termal fuse and the varistor. I would move the temp fuse to where the SB fuse is, the latter to where the varistor is. And finally the varistor to where the "My Sensors Board" inscription is. This would remove the mains trace from the middle of the PCB away from the ds18b20 and the connector for the switches. It would also allow to move the NRF24 and the switched connector closer to the HLK and thus further from the mains connector. Can someone please point me out the software used to design the PCB? If I got some time I would like to try out the improvements that I've mentioned before. Running fine now, nearly one week with a load connected (2*28W tubes) and switching on/off without a problem. I solder already the third board, and I hope that the thermometer will be visible in domoticz. I'm interested in build some exemplar of this beautiful project, so for that reason I ordered all the items present in Bill Of Material. I ordererd most of the item without problem, but I get in trouble in finding the "Slow Blow Fuse (250v 0.2A)", as in the link given, the 0.2A fuse is not available and in plus the seller doesn't send to Italy. For that reason I started a search in a lot of different shop, from the most knowed to the less knowed, but I'm not able to find it for a reasonable price. As example I found a Company that sell 10 of it for a total of 3.40$ but they ship it for 35$, so I think is a nonsense. Other Company only sell minimum quantity of 1000 item, but I don't need that amount and in plus the price will become very high. So for that reason I ask you if someone can suggest me an internet shop where I can find it for a reasonable price (item+shipping), or eventually if it's possible to substitute that "Slow Blow Fuse (250v 0.2A)" with different kind of fuse maybe more easy to find. Or as a last chance, if someone eventually have 10 of it and is available to send me (off course I will pay for the item and for the shipping) in Italy. 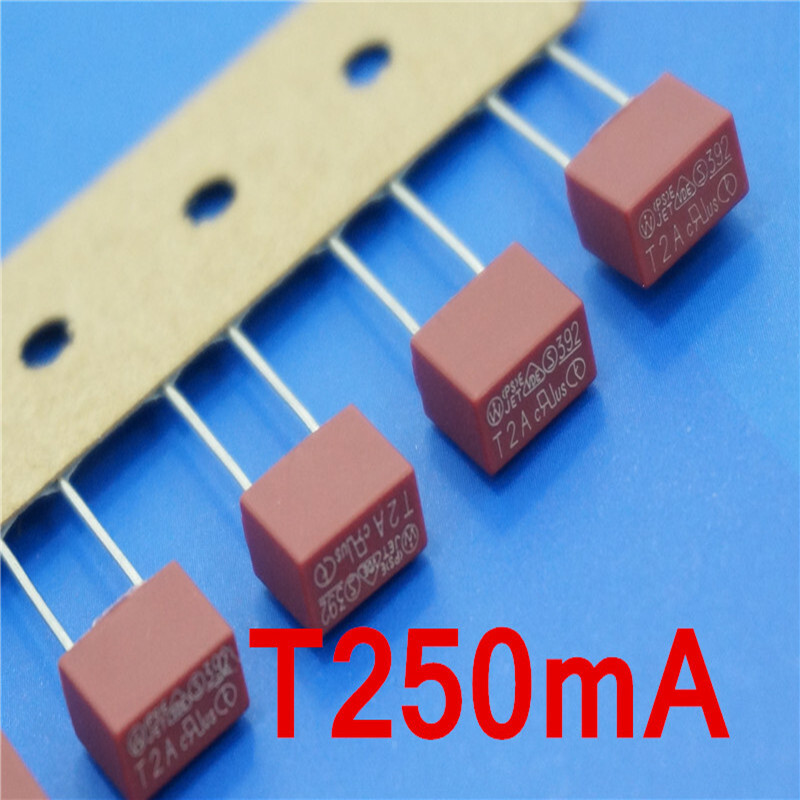 (10 pcs/lot) T250mA 250V TE5 Slow Blow Subminiature Fuse, UL VDE RoHS Approved, 250mA, 0.25Amp. Thank you to all for your rapid answer. I also called they and they told me that only after I will put the order they check the real availability in the various site they have and if present they send me, but if not present I have to wait 10 Week as this is the Factory Lead Time. And more of this the shipping will cost 20€, so a total of 39,80€ for 10 little fuse I think is too much. I think I will go for the one you suggest. It's cheap, with free shipping and it seems not to big to don't fit in the board. Now I will have to wait about 1 month before all parts arrive, then I will let you know if fuse will fit or not. Thank you again for your attention and a big hello from Italy. I bought here in Ukraine circular-shaped slow-blow fuses and soldered them almost normally (here is their datasheet http://www.rcscomponents.kiev.ua/datasheets/5rt.JPG), so far everything is ok.
Hello, I would not advise to use this board with sensors accessible to fingers. The spacing between main voltage and low voltage traces is too narrow at some points on the board and a short circuit is possible. It is fine/safe to use only in a closed box or connected to wall switches as they are designed to be safe with main voltage. I think that woundn't be so risky becouse o think about mounting it not behind light buttons, but in this box just below ceiling(where wires crossing their paths), this box is placed more than 2 meters above floor level. Still a bit, no ? Anyway if you have requirement for a board that would be both easy to solder and safe even outside of electrical box, can you send them to me by private message ? I'm working on such a board and I'm opened to any improvement ideas of use cases that would not be filled by currently available boards. I've just thought about little node that could be mounted in almost every room, and be barely visible. This box below ceiling is quite good place for this. I have plan to do something like dome(3d printed) instead of flat box cover to fit electronics there. As i told in previous messages i would like to have node that could turn on/off light, read temperature, movement, and light level by LDR. I would like to ask whether it is normal that the switch does not work if the server domoticz off? I want to use the switch only when I have a server crash and now does not work. @okos Unfortunately current mysensors version won't allow to 'boot' your code before their module connects to a controller. This is a main reason I moved to ESP8266 hardware. It does, you can put a before() method in your sketch. This is not good news from the switch does not work without a server. Mr.const, Do you use esp8266 in domoticz to control the light? edit: hek, I not noticed your post. It disables the transport sanity check at startup. This is a really good news, I'll give it a try to check if it works correctly with controller and when controller is lost. sorry for the ridiculous question but I have to enter into a sketch? or MyConfig.h? Tried it. Doesn't work. Btw, I searched all mysensors sources (2.0) and didn't find any use of a MY_TRANSPORT_DONT_CARE_MODE definition. It possible implement this option in mysensors 2.0 ? @okos it will be included in the next release yes. I tried to upload my two boards ( arduino pro mini 8Mhz , 3,3 V ) modified sketches but returned to sketch Nca78 (with DS18B20), unfortunately, does not operate a physical switch. Sometimes phisical switch changes state in domoticz ( not every time ) but relays do not change state. Switching on and switching off the lights of domoticz changes state relay without a problem. What could be wrong ? Does somebody can post a picture of the back side please. There's also problem of mixing both main/low voltage everywhere in the board like near the NRF24. 1/ Can i used it with 3way switches ? 2/ what are the pins 7 GND and 4 for ? 7 and 4 pins are mapped to 7 and 4 in/out of an arduino module. GND is for ground. These pins could be used to manually control relay state. hi, great project. I have one idea, is it possible to add current and voltage measurement ? Ordered all the components for this project but now i see there are 12 v solid state relays on the list?? mine is not working, does it not need to have 5V version?? @Achim looks like a mistake in BOM (maybe that aliexpress listing has changed). Project uses same relay, but 5V version is needed. I have finished to assemble one of this board today. I used the sketch of Nca78 (2 months ago) but i only command relays from jeedom. Sorry Okos I didn't notice the problem came from my sketch. I'm not using the physical switches at the moment (same reason than tonnerre33, no neutral wire where I have put it at the moment), but I will try to find some time next week to fix the sketch. I'll fix the temperature sending too as sometimes I have some tiny variations of temperature that generate a lot of message sending in a burst and it perturbates other sensors. Just a quick question before i order the PCB, is it realy 4.6x5 cm? (thats what it says on the dirtypcb website, but when i mesure the PCB in the diptrace file, it shows a perfect 5x5 cm. You will also have to include the antenna of the NRF24 that is outside the PCB area. For information, i can't place this pcb in my wall box. I'll search other wall box this week in order to find a greater box.. I have ordered 10 boards but i don't think use everything. I have 20 as first order from Seeed took too long to arrive I thought it was lost, so I ordered again from PCBWay. Then received both orders. @tonnerre33 what is the space available in your wall box ? Would a 43*45mm pcb fit ? Only one relay/switch on my future board but phase + neutral in and phase + neutral out so no need to have additionnal connectors. No SMD, safe distance between tracks + milling. And 0.1'' tracks for load so it should be ok without reinforcing the tracks with solder. do you know if dirtypcb are still operational? because i've seen in their website that they want to migrate to another website "dangerousprototype"
did anyone order from them lately? @br0wn dev.dangerousprototypes.com is supposed to be a test site only, dirtypcb is still functional. I have searched others wall box today but nothing fit (box from france). A 43x45mm pcb will fit well. I tried the pcb of the roller-shutter-node (45x46mm) and the wall box fits well. What do you mean by "no additionnal connectors" ? Will can use physical switches ? Uggh, I just received 20 of the 12v ones yesterday that I purchased from the BOM link. Is it safe to say that these will absolutely not work, or is there some way to adapt them with a step-up converter or something? I mean that with my future PCB you have neutral and phase in, and neutral and phase out. No need to have an extra wire from "phase in" to go to the input of the relay + a connector to connect "neutral" in to "neutral out" (that is not available on the board). At the moment with the board I installed, I have to use a wago connector for neutral which takes some extra space. @Nca78 , would this module work as a roller shutter if the motor is not drawing more than 2A (the maximum current that this SSR relay can withstand is 2A) ? can we install this module in a wall ? Can we command shutters ? if you have the 2 relays on at the same time = 2 directions you will probably kill the motor, there is no hardware protection on this board to avoid that (one of the relays must have power only when the other one is in off state). This can be done in software so it's not blocking. if you want to be able to control the level/percentage of closing, you need to measure time from min to max position, to do that you need to measure current (when motor stop consuming current it means shutter has reached it's 0% or 100% position). But there is no current sensor on this board, so you either need to implement a manual calibration process (that will lose precision over time) or use only manual control. I am planning to test it when I have some time, and when I receive the PCB. Looking to do something similar, Thanks for the contribution. However, I'd be very concerned about using an SSR (solid state relay) vs a mechanical relay. Even in the "OFF" position there is typically a small potential/current leakage through an SSR. When using SSR nearly all applications use a secondary mechanical disconnect to truely isolate the load, for service etc. Thoughts? ... to truely isolate the load, for service etc. Thoughts? For that, disconnect the fuse in your fuse box, it's the only safe way. You cannot adapt them with a step-up converter, there's no space on the PCB for that. But you should test them with 5V, if you are lucky they might work. I'm using 5V relays with 3.3V without any problem. The "must switch off" value in datasheet (for the original, remember what you bought is a clone...) is 0.9V which should be ok (real switch off value will probably be closer to this than to 5V) but the "must switch on" value is 8.4V which is quite far away from the 5V. The only way you will know if it will reliably switch one with 5V is to give it a try. Sorry I'm a bit short on free time at the moment, didn't have time to take a look at the sketch yet. What you are saying is sometimes you change the physical switch position, it changes the status in domoticz, but the light status is not matching the status of the physical switch and the value of the switch in Domoticz ? For example: light is off and domoticz says off. Then you push the switch and domoticz says the light is on. But in fact the light is still off ? @tonnerre33, je suis également en France et je n'ai pas de neutre dans mes interrupteurs. 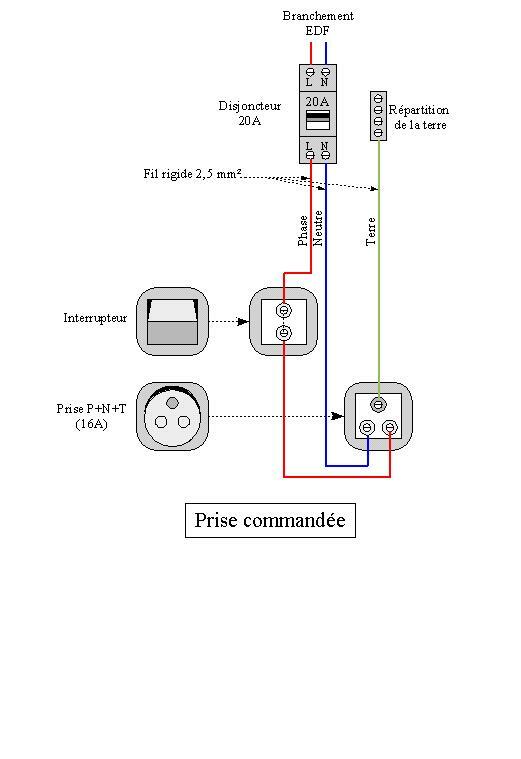 Peux tu me dire comment tu as pu tester le pcb stp. Mon anglais est loin d être top desolé !! @Nca78 Thanks for your thoughts. I will try testing it with 5v and see what happens. @laster13 hi, i have tried this pcb with my bedroom lamp. Indeed, these lamps are powered by electrical socket which include neutral wire. I Will tried to speak english . Thanks tonnerre33 for your help. Could you give me à shema of your installation in the bedroom ? thanks, I'll try. You say that your lamps are powered by electrical socket . Is mounting possible on simple sockets with neutral wire? (non commandées)? Sure you can use an electrical socket without switch control. But caution, max current is 2A ! It is ok for lamps but you can't supply a receiver which consumes more than 460VA per relay ( = 460W for resistive receiver). I am trying to test a montage which I am not sure about and besides when I plug the pcb on the socket the lamp remains on. I invite you to read my post on the Domoticz forum. This is my first post on this site!! Yes this is a really good project but for the UK controlling a light inside of a wall switch you would need to do the following. 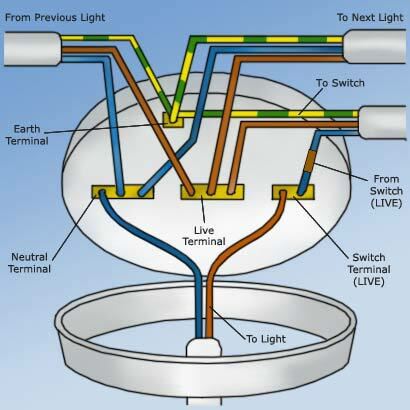 Put an extra cable up to the ceiling rose with the return cable from the board that goes to the switched live and add an extra terminal in the ceiling rose to link the neutral to the other side of the lamp fitting. If the back box is metal, it would need to be changed to a plastic box , I wouldn't myself want to mount the board in an earthed metal box!! As other contributors have noted there isn't any fusing on the live and neutral feeds if the SSR were to fail short because of a short circuit in the lamp or ceiling rose then there could be a large current going through board that could potentially cause a fire, safety is always the first thought with any mains electrical circuit. I could see this board being used in a plastic box inline to a table lamp etc. but it would need a lot of work to re-wire your house if you intended to use it behind a wall switch. @laster13 Yes your schema is correct. The sketch has been modified by Nca78, you can try it first. The problem does not come from the unused switch, because i use this node without switch. I'm going to do these for my light switches but what should I use for in wall on off switch without relay? The link to to DirtyPCBs is broken, got a new one? For information, a few members have too many PCB of this node that's why if you are living in Vietnam or asia, Nca78 can send you PCB and if you are in france, i can send too (contact by pm for terms). I can not find anywhere Slow Blow Fuse (250v 0.2A). Does anyone has an available link?? Never mind, got them. thank you!!! If anyone in the UK is after boards/parts i have spares. hello, anyone use this project with home assistant? Thanks for this. One question about the SSR. Does it matter if its a zero crossing relay or not if just switching lamps with fixed amps? That the difference between the G3MB-202P and G3MB-202PL. I'm not sure which to get. I love this project. This is almost exactly what I wanted to do by myself (but I have no knowledge in PCB design). As this project shouldn't require much power, have you ever though about using a dropping capacitor PSU (http://www.circuitsgallery.com/2012/07/transformer-less-ac-to-dc-capacitor-power-supply-circuit2.html) instead of the HLK-PM01 ? If this is a working solution, it would make your project even cheaper. An other question on the DS18B20. Wont the proximity with the relays (heat generators) will disturb the temperature reading ? Transformerless design means there is not isolation between main voltage and low voltage parts. You can get electrocuted with 110/220V when touching the low voltage side. It means it can be used only in the case of a sealed box. For the temperature sensor the main source of heat is the hlk that heats up a lot. It's purpose is not to sense the temperature in the room, but to monitor the temperature inside the sensor and make sure there is not problem with the hlk overheating. @Nca78 Thanks for the advice. Would it be possible tot change the relays to one (or two) triacs, keeping it's current features and also allowing it to dim lights?